In March, 2014, Daher Socata debuted the TBM 900 to overwhelmingly positive reviews. Roughly a year later, the company announced it was rebranding and changing its name to simply “Daher.” Whatever you call it, the last 12 months have been among the most exciting in history for the French aerospace firm. Daher took orders for 64 TBM 900s in 2014, and was able to ship 51 of them before the end of the year. That is a significant improvement over past years deliveries and a new high-water mark for aircraft sales at the firm. The company had its “best sales year ever,” according to Flight Global. Much of the excitement surrounding the TBM 900 resulted from performance increases. 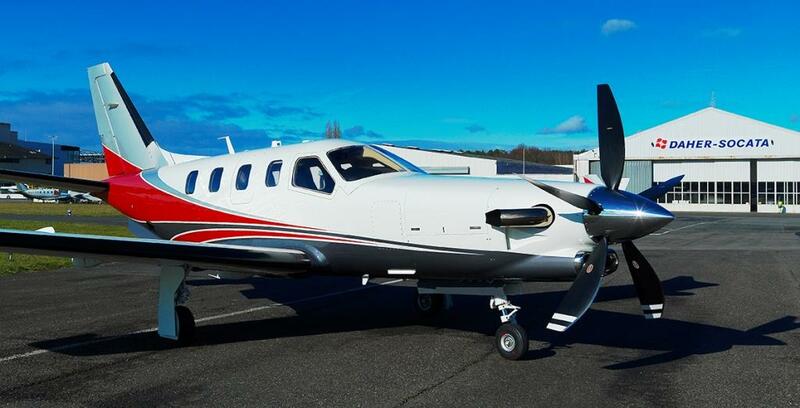 The aircraft is a significant jump forward for Daher’s 25-year-old TBM line. Originally codenamed “The Century Project,” development of the 900 took over four years and utilized state-of-the-art fluid dynamic testing to identify areas where drag could be reduced. The new design resulted in a perceived 50 horsepower increase in thrust, according to Nicolas Chabbert, Senior Vice President of Daher’s Airplane Business Unit. But, the TBM design team didn’t want to stop at simply making the 900 more efficient. They wanted to make it more powerful too. The TBM 900 comes stock with a five-blade ASC-II advanced composite propeller from Hartzell. The new prop gives TBM owners the increased thrust of a five-blade prop while avoiding a drop in cruise speed due to increased drag. The secret is Hartzell’s advanced carbon material, which allows engineers to optimize the blades’ cord thickness without compromising strength. James Wynbrandt and David Carlson of AOPA Plane & Pilot magazine noted the new prop’s impact when they took to the skies for a demo flight with Wayman Luy, a pilot for Daher. “The predatory five-blade Hartzell composite prop drives air into the redesigned air inlet, acting like a turbocharger,” said Wynbrandt. Daher and Hartzell celebrated the successful partnership when the TBM 900 debuted at the industry’s most prominent aviation event, EAA Airventure Oshkosh. Reporters, TBM owners and aviation fans gathered to hear from the team behind 2014’s most celebrated new aircraft.